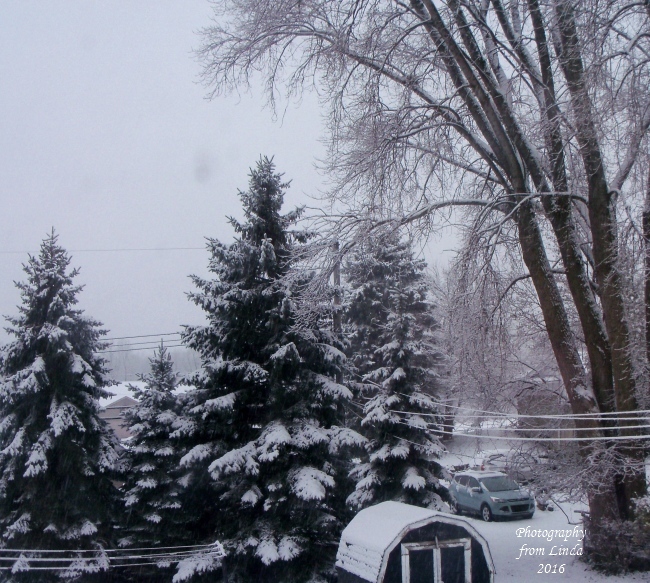 This was taken from my kitchen window on Sunday afternoon (nope, I wasn’t even outside) after I got home from work. Yes, I went in on my day off. It would have been a great day to be in my Stampin’ Studio making cards! I’d like to share another card from our Holiday Retreat Attendee Swap that was created by Olivia. Banners are all the rage right now in stamping, and Olivia used them to highlight her poinsettia and greeting. Clever! I love poinsettia’s so you know this set is in my stamp collection. I also like the script for the greetings, it’s kind of old fashions so it gives your card that neat nostalgic look, and isn’t that part of the Holiday feeling … our memories from Christmas’ past. Thank you so much for joining me today. I will be back tomorrow with a “Two for Tuesday” since I missed my Sunday post. 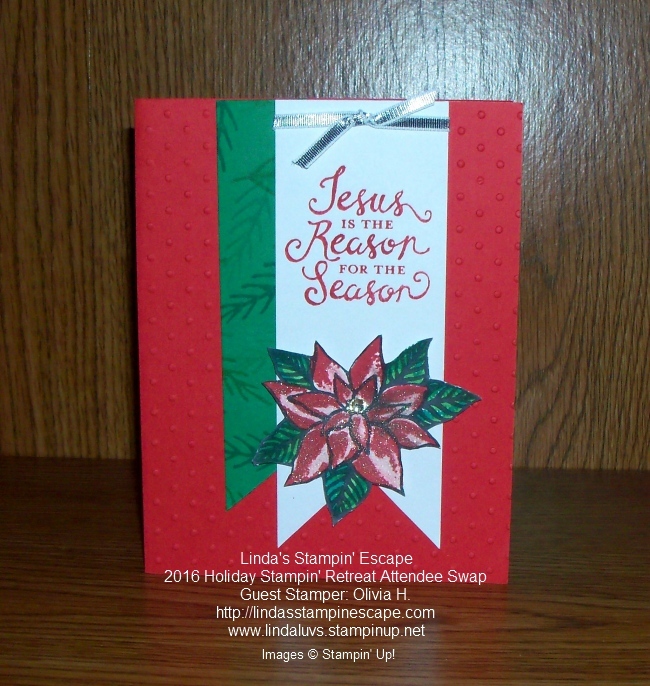 « Guest Stamper: Kathie D.